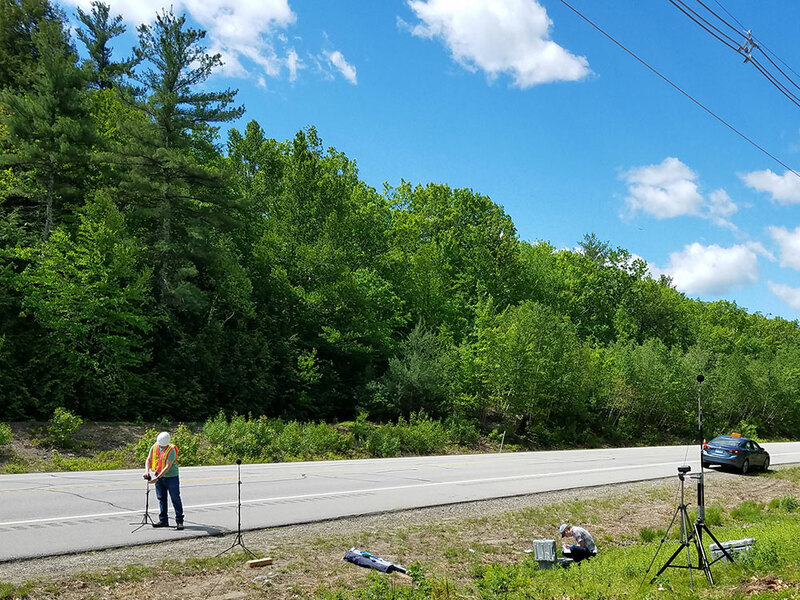 Under an on-call contract with the New Hampshire Department of Transportation (NHDOT), HMMH evaluated measured noise levels from controlled vehicle pass-bys on rumble strips and smooth pavement at six locations across the state. 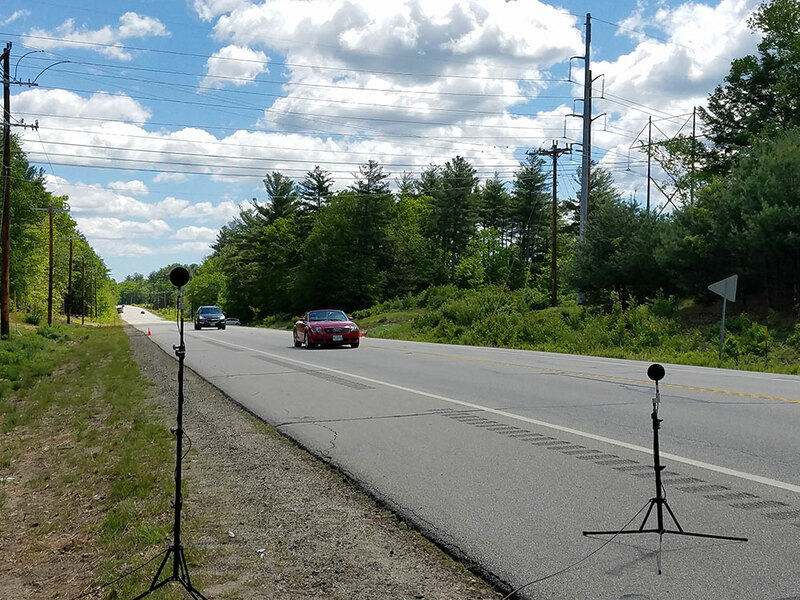 The study included a limited review of the current technical literature, wayside noise measurements of controlled vehicle pass-bys, and subsequent analysis of the measured data. The objectives of the study were to document and compare noise levels for different rumble strip installations across the state and to make comparisons to the results published by other researchers. While most of the sites had milled, centerline rumble strips with depths ranging from 1/4 inch to 5/8 inch, one of the sites had two different sinusoidal patterns with varying depths, installed along the shoulder. The wayside noise measurements included a number of variables which were tested at each site, including: the type of test vehicle; two reference microphone positions; two pass-by directions (near lane and far lane); two road surfaces (smooth pavement and centerline rumble strip); continuous vehicle pass-bys; and at least one vehicle speed. HMMH tested additional variables at some of the sites, including two additional vehicle types, three additional microphone positions, one additional roadway surface (shoulder rumble strip), vehicle pass-by with a maneuver, and two additional vehicle speeds. Wayside rumble strip noise increases with increasing vehicle speed. Rumble strips with the deeper cuts generally produced higher wayside noise levels. Rumble strips with sinusoidal profiles generally produced lower wayside noise levels.